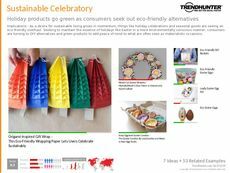 Find Better Ideas, Faster ® with a custom easter egg trend report, our PRO Dashboard and 80+ categories of premium trend reports. 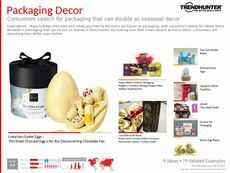 The Easter Egg Trend Report is a compilation of artistic holiday activities, decorations and designs for making Easter eggs. It finds the most popular colors, patterns and methods for making Easter eggs, both for amateur children's eggs as well as more intricate designs for adults. It focuses on the maker culture involved in the popular DIY project as well as the ways art supply brands can capitalize on the holiday tradition. This report applies to art supply retailers, DIY kit makers as well as home decor stores that provide the materials needed to make authentic Easter eggs or sell manufactured versions. 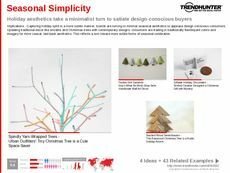 It also provides insights for gift stores, toy shops and holiday-centered retailers. The Easter Egg Trend Report gathers data on Easter decorations that can be purchased as well as made at home, focusing on the impact of maker culture around holidays.